It is early morning on August 7, 1964. Two mountaineers are squarely in the middle of the almost vertical, mostly ice-covered north face of Pointe Whymper in the Grandes Jorasses. So far, no one has ever been able get to the top of the difficult summit on this seemingly impossible route. It’s freezing cold. Again and again, stones plunge down, thundering past the two mountaineers into the bottomless void. Clouds are gathering. Keep going, or cut it short? Much is at stake – not only the success of the planned ascent, but also the survival of the two men. Thanks to the integrated barometer, their wristwatch shows them not only their current altitude, but also any impending weather changes. Because of this important information, the two-man climbing team pitches a protective camp and thereby escaped a heavy snowstorm. Two days later, on August 9, at about 6:00 p.m. – still in adverse conditions, accompanied by snow and wind – they reach the 4,184-meter-high peak, exhausted but safe and sound. 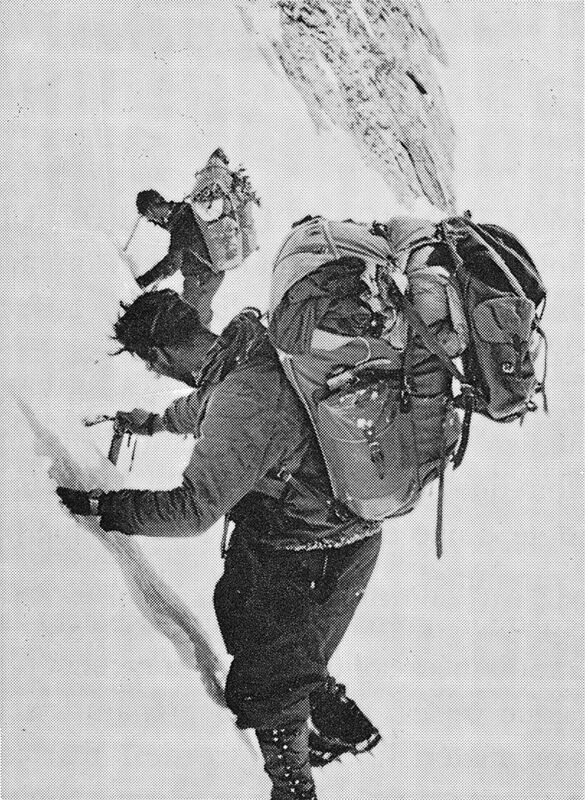 One of the two mountaineers shortly thereafter writes in a letter: “The last stage of this ascent is certainly one of the hardest endeavors you can undertake in the Alps!” The two daredevils: Geneva mountain guide Michel Vaucher and the Italian mountaineer Walter Bonatti. Their watch: Favre-Leuba’s Bivouac, the world’s first mechanical wristwatch with an aneroid barometer for altimetry and air pressure measurement.